We would like to introduce you to one of our talented Yoga Teachers at Hemma. 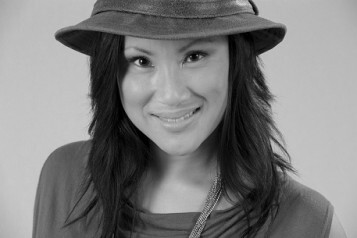 Introducing Andrea Ting-Letts! In addition to being a yoga teacher, I am also a freelance writer. I love words, and I love stories in particular. I believe the stories of our lives – our past, present and our future – reside within our bodies. And I believe that there are stories that we share in common that we can explore through our yoga practice. To my classes I bring modern-day fables to which we can connect within our yoga practice: how to relieve ourselves of the urgency for instant gratification, how to hone our animal instincts, how to tend to the many gardens we cultivate, and more. My intention is to weave inspiring metaphors within a creative Vinyasa flow that we can absorb, integrate and express both on and off our yoga mats. I teach Slow Flow on Tuesday nights at6:30pm, a gentle flowing Hatha practice to inspire tranquility; and Vinyasa Flow on Thursday mornings at9am, a more vigorous practice to invite an exploration of strength and stamina. I love the nourishing aspects of any yoga practice: it feeds our need to connect to our bodies, to quiet our minds, and to open ourselves to spiritual devotion. My favourite way to bring yoga into my everyday life is by nourishing myself and my loved ones with healthy, delicious food, made from scratch with the best ingredients possible. I believe we too often relegate eating to another task we need to fulfill in our day, and so often we multitask while eating… checking email, watching TV, anxiously monitoring our smart phones. I try at least once a day to celebrate the ritual of a meal, during which I sincerely relish and offer gratitude for the food itself, and the company with whom I am sharing it. Here is an amazing, easy recipe for a sweet treat that is gluten-, dairy-, and refined-sugar-free, and calorie-friendly. I borrowed this from one of my favourite cookbooks: The Whole Life Nutrition Cookbook. Preheat the oven to 350°C. Mix all dry ingredients together in a small bowl. Mix the wet ingredients together in a separate bowl, and then mix into the dry ingredients. Press into a 9” pie plate or spring form pan, and bake for 12-15 minutes, until you see the edges begin to brown slightly. Let cool for at least 30mins. Rinse the millet under cold running water. Place millet and water in a small pot with a tight fitting lid. Bring to a boil, then turn heat down to low and cook for 35-40minutes, until the water has absorbed completely and the millet is a mushy texture. Place the remaining ingredients in a blender and blend on high for 1-2minutes, until the mixture is a creamy consistency. If you have a good quality blender like a Vitamix, you can add the cooked millet to this mixture and blend until smooth and creamy. Otherwise, transfer the cashew-lemon mixture to a food processor fitted with the “s” blade, add the cooked millet, and process about 1-2 minutes, until very creamy. Pour the filling into the cooled crust, and allow to stand at room temperature for about an hour. The refrigerate until ready to serve. Garnish with toasted coconut or your favourite fresh fruit or berries. You won’t believe that this dessert is dairy-free take on cheesecake!